By JP Chartier. 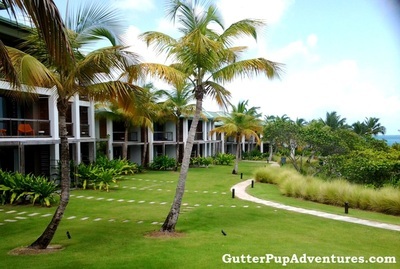 JP writes for Gutter Pup Adventures.com where you can expect to read well-written and entertaining articles about the people and places that often get overlooked at many popular vacation destinations around the world. Hidden 7 miles off the coast of Puerto Rico, a tiny speck of an island silently exists today much like it has for millennia. Basking in the Caribbean sun and surrounded by the azure waters of the Atlantic Ocean to its north, and the cerulean blue of the Caribbean Sea to its south, Vieques (Bee-ay-kus) is the perfect place to step back in time and get away from your hectic and chaotic life for a while. It’s a short 20-minute flight from San Juan International Airport on the mainland of Puerto Rico to the single runway airport on Vieques. 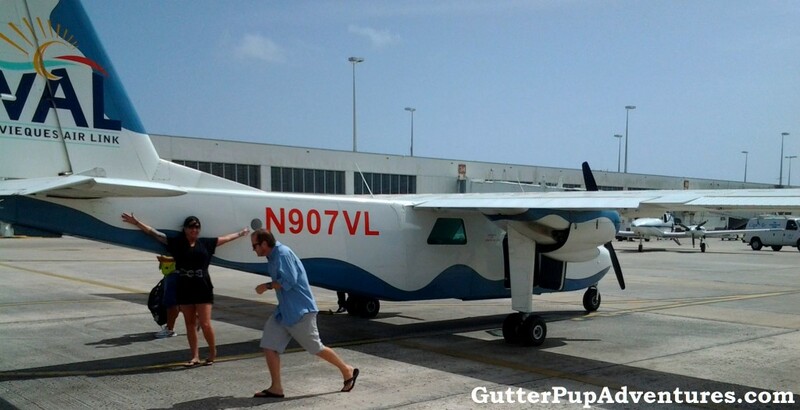 If riding in one of the tiny, 6-seater, puddle jumping airplanes doesn’t suit you, you can take a boat over. 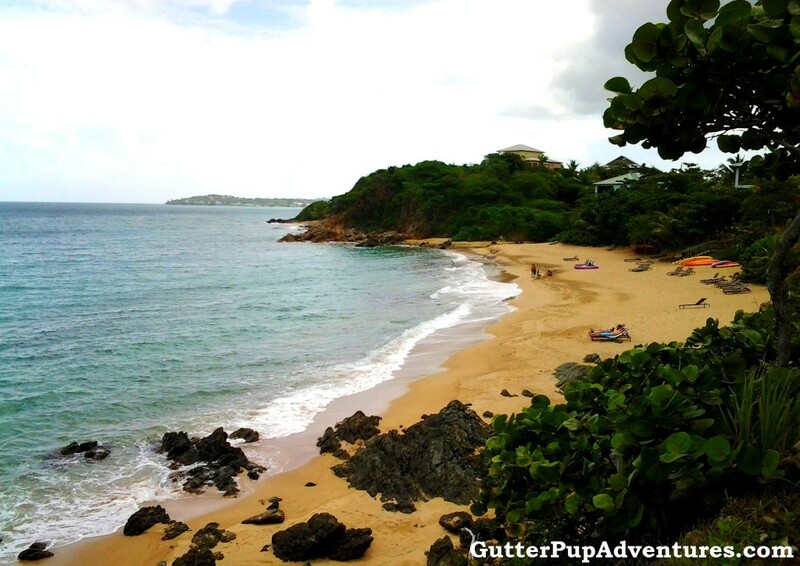 The Vieques of today is a much different place than it was only 15 years ago. 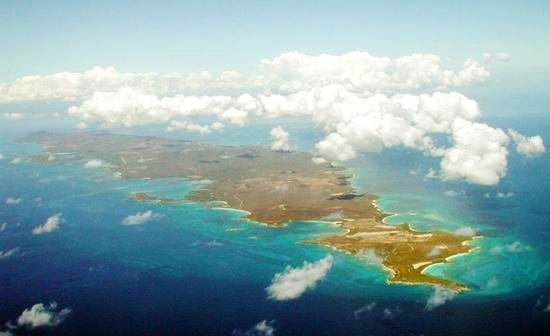 Two-thirds of the small island was used as a bombing range by the United States Navy since WWII. They pulled out in 2003 and are in the process of making the whole island a safe place by removing all unexploded ordinances. Due to the presence of the Navy on the island for all these years, the beaches and much of the island are left in a natural pristine state. 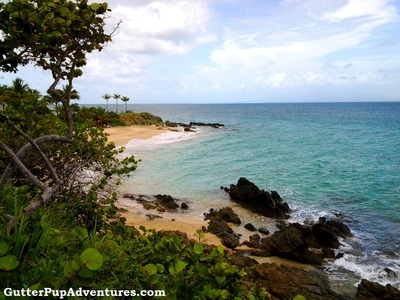 And that’s where the real beauty of Vieques came alive for me, the natural and unspoiled beauty. 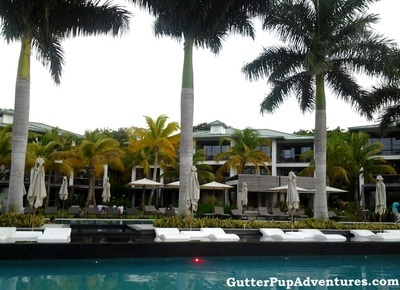 I stayed at the W Retreat & Spa Hotel located on the north end of the island, right on the water. Named one of the 500 best hotels in the world by Travel & Leisure, it features 156 rooms and suites with either a balcony or a private patio. The hotel is beautiful and comfy and I highly recommend it, you’ll pay more but if you like to be pampered, this is your place. My room had a distinct Caribbean island feel to it and a spacious bathroom with an awesome over sized bath tub. The king bed was especially comfortable with the 400 thread count sheets, pillow-top mattresses and goose down pillows. The W Retreat & Spa Hotel is a wonderful place, there’s plenty to do on the property and they have an amazing beach. The meals at the restaurant were really expensive, I’d recommend hitting the town for a bite to eat instead. First and foremost you’re going to need transportation. I elected to go with a tour company that my hotel recommended, but you can rent a car, taxi, bicycle or moped. Like I said before the beaches are the primary attraction here, they are some of the most amazing beaches I’ve ever seen, and I’m from Florida, one of the beach capitals of America. 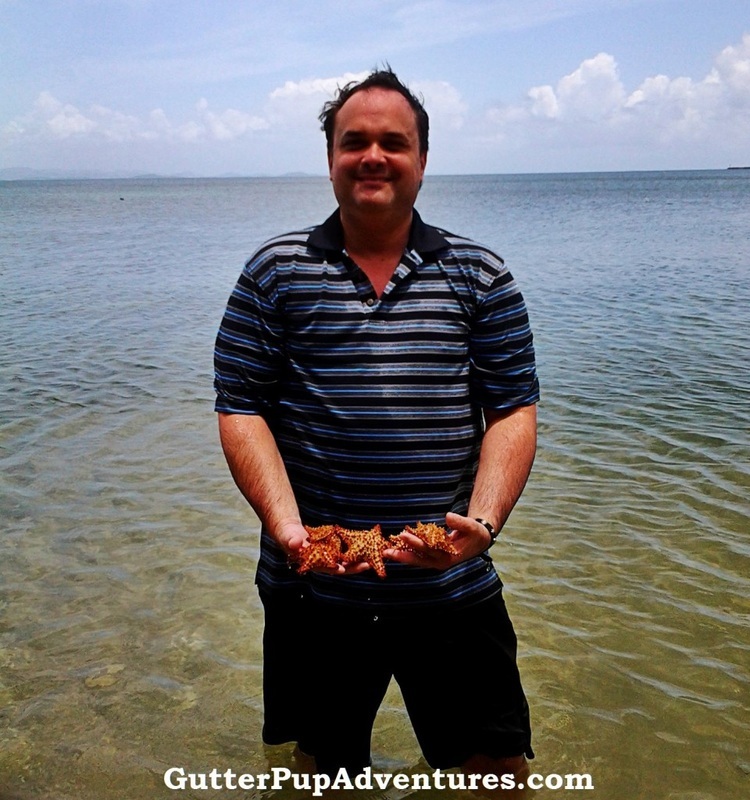 One of the beaches I visited had starfish everywhere! Make sure to do some snorkeling while in Vieques, the sea life is spectacular! The Bioluminescent Bay, or “Bio Bay” is a natural wonder hidden on the south end of the island that is a must see. 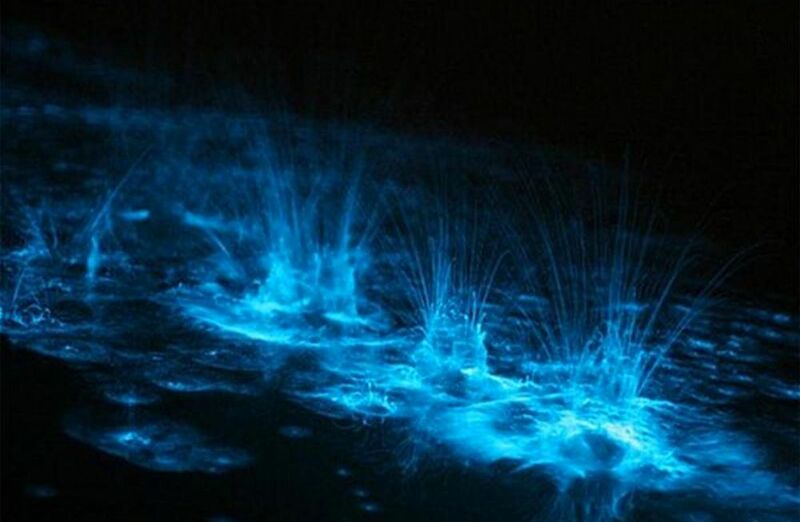 A mysterious blue-green glow is created in the water when disturbed. The coloured water is actually the work of micro-organisms that are half plant, half animal organisms. Whatever you do, don’t miss this. I elected to go with a tour company when I visited this. Warning: The road to the bay is a pot hole infested dirt path that might not be for anyone suffering from any kind of injury. 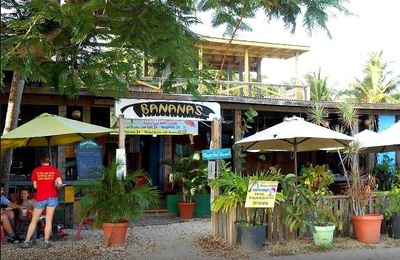 After walking the beaches and exploring, I ventured into Banana’s Beach Bar & Grill, and was I ever glad I did. First of all, the views from the restaurant are top-notch, plus you get a fantastic ocean breeze while enjoying the comfy interior. The employees were awesome, they answered all my questions and helped me plan my day. Then I got my mixed drink, holy moly was it strong! The food was really good too. Be sure to give them a try. 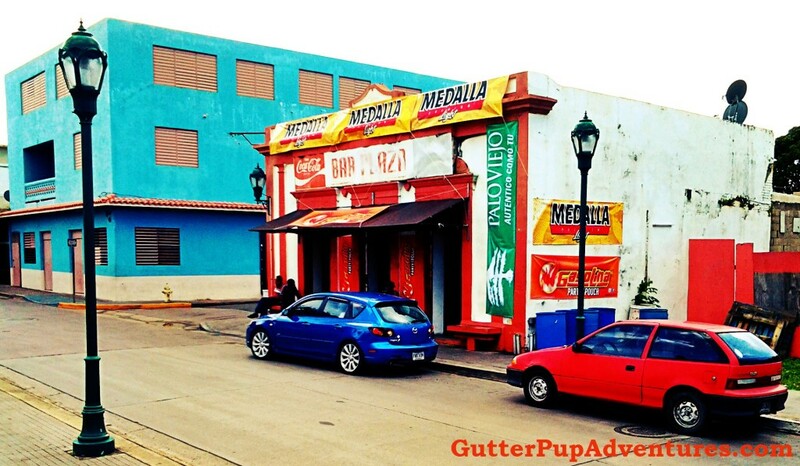 Isabel Segunda is the capital of Vieques, a place that seems caught in the past. There are no traffic lights or traffic here, in fact, it’s not unusual to see horses roaming about everywhere. The town was named after the Queen of Spain and is referred to as El Pueblo by the locals. The colourful buildings have a Spanish flare and are full of character. One of the main attractions here is the Plaza. Also worth a visit is Vieques National Wildlife Refuge. The refuge was once an American bombing range, but it’s now a fabulous place to take it easy and enjoy the beautiful surroundings. You have your choice of a variety of beaches, each appealing in their own right. If you want seclusion or if you prefer people, there is a beach here for you. The refuge is on the south-western end of the island. There are remains of the original Fortin Conde de Mirasol Museum & Fort, built here in 1845. Also on the property is a museum of art and history which has an extensive collection of documents detailing the history of Vieques. The fort and museum are located in the small town of Isabel Segunda on the north end of the island. Located near the W Retreat Hotel on the north side of the island is a company that provides horse rides along the beaches. The staff are really friendly and knowledgeable. While some may find this a bit boring, the scenery makes it worth it. 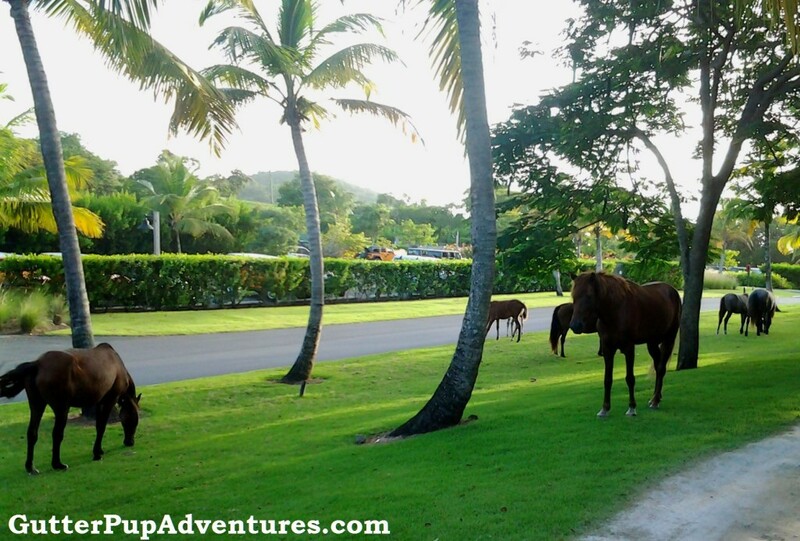 On Vieques, horses are free to roam, they are everywhere, including on the property of the W Resort. After spending 7 days on this wonderful island I was amazed at how relaxed I felt. There are plenty of opportunities to do absolutely nothing while being surrounded by breathtaking beauty. So grab a drink (the Mojitos were stellar) find a lovely view and just RELAX!